The Museum and Archives has published a book on the 8th Battalion made up of soldiers’ letters, diaries and memoirs from our archives. To obtain a copy of the book, please contact rwrmuseumcurator@gmail.com. The cost is $20.00 CAD to purchase in person; $25.00 CAD to mail it out. 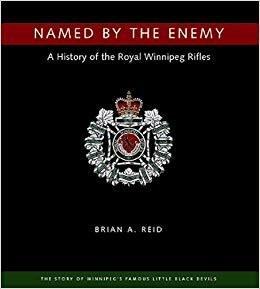 To obtain a copy of the Regiment’s official history, please contact rwrmuseumcurator@gmail.com. The cost is $30.00 CAD to purchase in person; $35.00 CAD to mail it out.